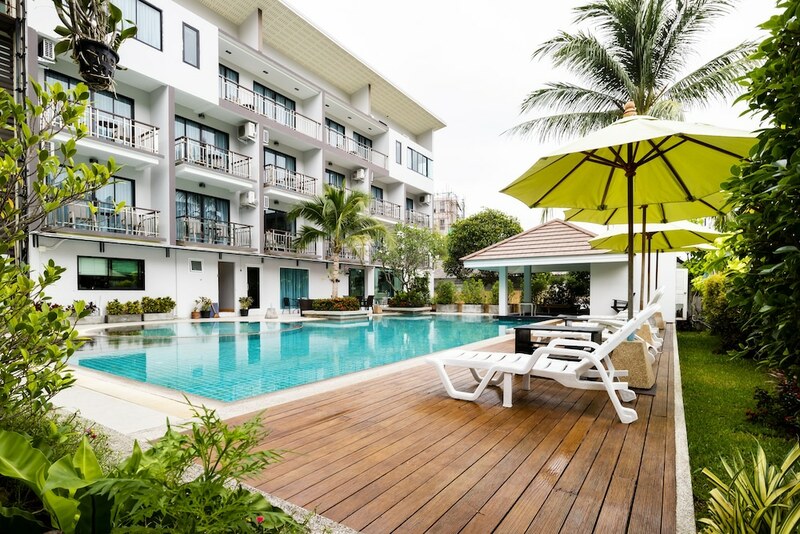 Situated by the sea, this hotel is within 1 mi (2 km) of Kalim Beach and Patong Beach. Jungceylon Shopping Center and Kamala Beach are also within 6 mi (10 km). A restaurant, an outdoor pool, and a fitness center are available at this smoke-free hotel. Free WiFi in public areas is provided, as well as free self parking, a free beach shuttle, and a free manager's reception. Other amenities include a poolside bar, a spa tub, and a meeting room. All 70 rooms provide conveniences like refrigerators and coffee makers, plus free WiFi and flat-screen TVs with cable channels. Guests will also find balconies, minibars, and room service. In addition to an outdoor pool and a children's pool, Di Pantai Boutique Beach Resort provides a spa tub and a fitness center. The hotel offers a restaurant. A poolside bar is on site where guests can unwind with a drink. Each day guests can enjoy a complimentary manager's reception. A computer station is located on site and wireless Internet access is complimentary. This business-friendly hotel also offers a terrace, tour/ticket assistance, and a garden. For a surcharge, a roundtrip airport shuttle (available 24 hours) is offered to guests. Complimentary self parking is available on site. Di Pantai Boutique Beach Resort is a smoke-free property. Pantai Sea View - Overlooking the ocean, this restaurant specializes in Thai cuisine and serves breakfast, lunch, and dinner. Open daily. Start your morning with a cooked-to-order breakfast, available each day from 6:30 AM to 10:30 AM for a surcharge. Every day, the hotel hosts a free manager's reception for you to enjoy. You can order up room service during limited hours. An outdoor pool, a children's pool, and a spa tub are on site. Other recreational amenities include a fitness center.